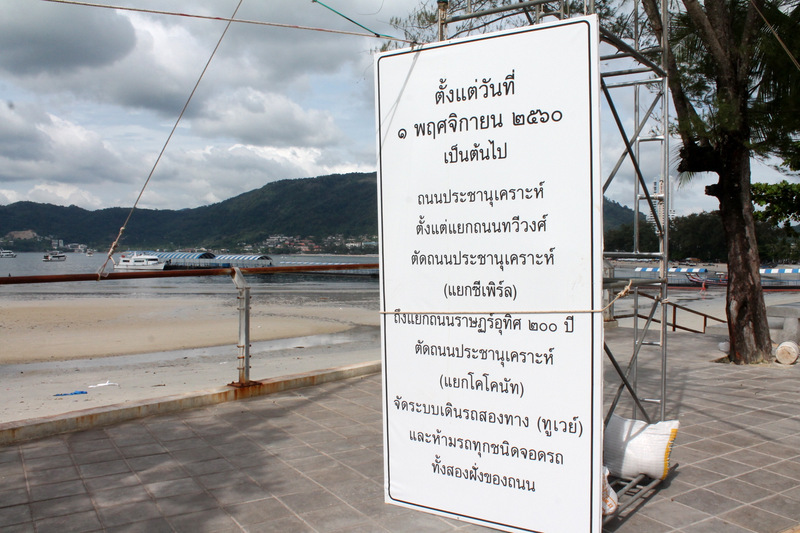 PHUKET: Patong Traffic Police have opened a key access road to the southern end of Patong Beach to two-way traffic in the hope of reducing the serious traffic jams along the Patong beachfront road. The section of Prachanukroh Rd from Rat-U-Thit 200 Pi Rd to Thaweewong Rd, which used to be one-way towards the beach, was opened to two-way traffic last Wednesday (Nov 1). “This is a trial for three months only,” Patong Traffic Police Chief Lt Col Ekkarat Plaiduang told The Phuket News sister paper Khao Phuket this morning (Nov 6). 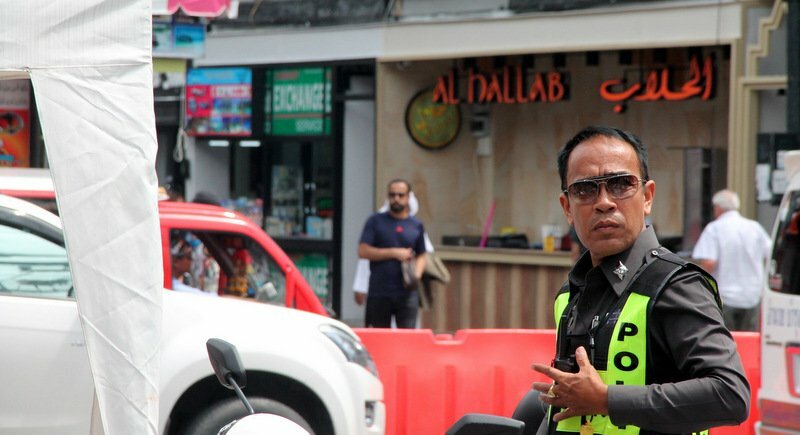 “We decided to do this after holding a public meeting to gain feedback from local residents officials from Patong Municipality,” Col Ekkarat said. “Thaweewong Rd (the beach road) has really bad traffic jams. We want to reduce the number of vehicles using that road,” he added. 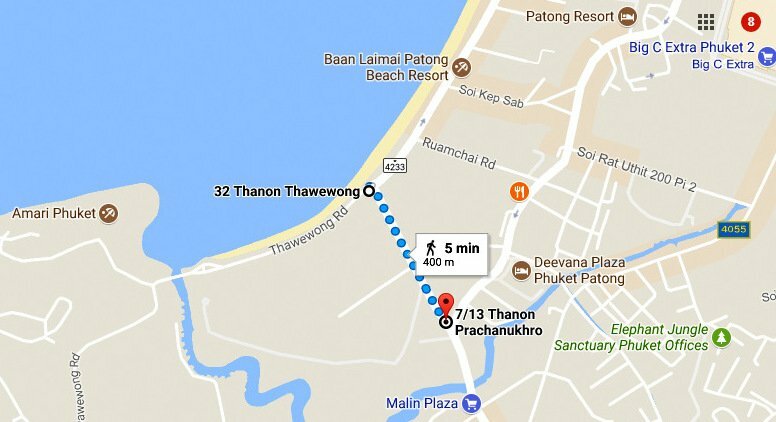 The move hopes to provide an alternative access to – and exit away from – Patong Beach for three main groups, Col Ekkarat explained. “First, tourists are transported to more than 3,000 rooms around Tritrang Beach [on the Patong Bay side of the headland at the southern end of Patong],” Col Ekkarat noted. “Also, this helps to keep jet-ski trailers and normal traffic off the beach road. Opening this road to traffic in both directions provides another way for motorists to access other places without using the beach road itself,” he added. However, to make two-way traffic possible along the road, there is now no parking allowed along either side of that section of road, Col Ekkarat noted. “The traffic is better already after just a few days of having this. Traffic is flowing well, with less traffic jams,” Col Ekkarat explained. “If this moves gets good feedback, we might approve this as permanent change,” he added. At the time Rat-U-Thid Road was used as a 2 way road,there was by far less traffic then now.It would not work that way anymore! Rath-2000 road should be a 2-way road again. When it was like that in the past it did work well. Since it is a 1-way road, the half of it is just used as wild west parking by tuk tuks. For what? Why to facilitate parking tuk tuks who are not needed, instead of heaving Thai smart 4.0 traffic flows? The traffic flow in Patong is designed to make things congested. All the connecting roads should be 2 way so you don't have to go all the way to the south end to go to a place on the north end. I totally agree with this change. Traffic coming from Tri Trang can use the "3rd" road to get out of Patong or forward to karon. Strongly support to make it "Permanent".